A mini juggling convention will take place in Geneva in March 2007. It will take place three months before THE Swiss Juggling Convention. - Saturday the 17th and Sunday the 18th of March 2007. - The convention will take place in the Ecole primaire "de Haller", in the "village of Chêne-Bourg". Surroundings map. 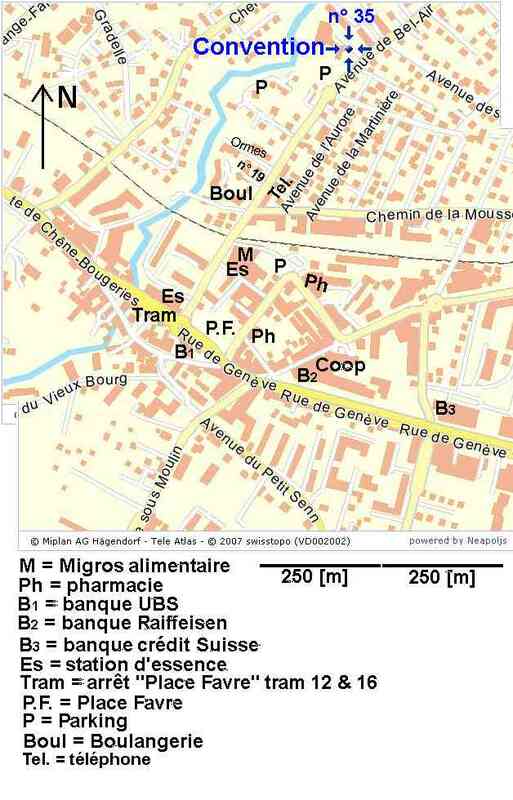 - Here is a map taken from "www.ortsplan.ch" to see the way from the train station. 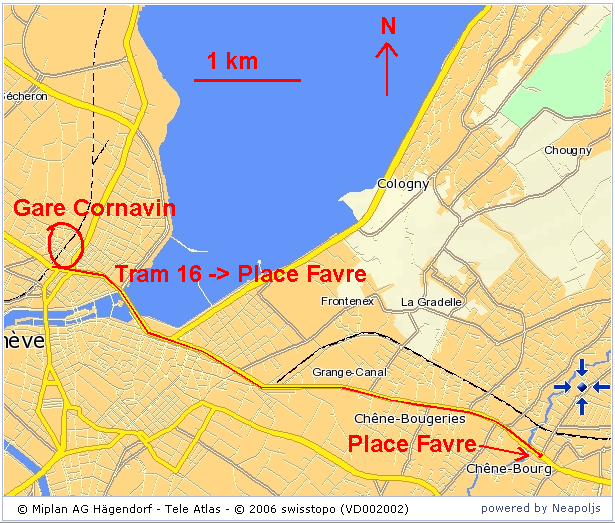 From the station, take tram 16 direction Moillesulaz, till Place-Favre, then walk up the avenue de Bel-Air till number 35. By car, park in the Avenue de Bel-Air. It starts from the Route de Chêne-Bougeries (= Rue de Genève). - It will be possible to sleep on the floor of a room on the site. Take your sleeping bag. A small matress is highly advised. The youth hotel is near the train station, about 5 kilometers from the convention site. - Non alcoolic drinks will be available. - For Saturday midday, several stores are opened in the vicinity until 18h00. - Saturdays evening, food will be available. - Sunday morning, breakfast will be organized. In the afternoon, the left overs from Saturday and from breakfast will be available. - Participation at the festival is free of charge. - No dog will be authorized to enter on the site. The unicycles will not be authorized in the room of gym, on the other hand a covered area will be available outside. City shoes as well as shoes with black soles will have to be removed to enter the gym. - Participants must have their own insurance. 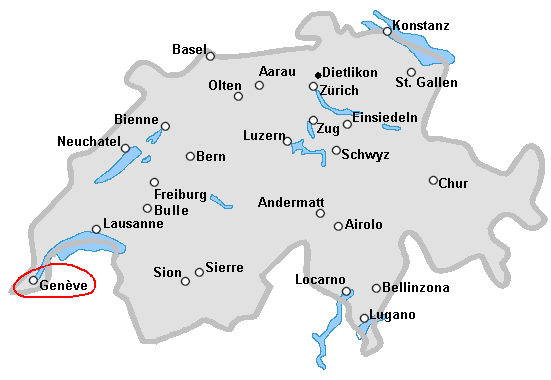 See the Swiss train time table : (French, German, Italiano, English). Welcoming the jugglers begins at 10 am. Public show at 20:30 o'clock in the gym. - Free juggling up to 2 o'clock in the morning. Bernard Gisin. Indicate the subject clearly. If you plan to come, please send an e-mail to Bernard Gisin indicating in the subject that you are comming to the mini-convention in Geneva. Un papillon d'information à imprimer. En français ! Link to a resume of what happend at this convention. Liens sur des photos du spectacle.